Just like medical insurance or car insurance, home owner’s insurance is ALWAYS good idea to purchase for your home. If tragedy strikes your house, you certainly want to feel some sort of comfort knowing that your house is protected and that you won’t have to fork up all the costs. Homeowners insurance provides financial protection against disasters. A standard policy insures the actual home structure and the things you keep inside. Because homeowner’s insurance is a package policy, it covers both damage to your property and your legal responsibility for any injuries and property damage you or members of your family cause to other people. In most cases, this includes damage your pets can do, such as biting and injuring a visitor. Damage caused by most natural disasters like fires are covered, however you must by separate policies for flood and earthquake coverage. Homes located in low-risk areas for these disasters are not required by law to purchase these separate policies, however, homes that do lie in high-risk zones are required. Check with your insurance company to find out your risk. As mentioned above, homeowner’s insurance protects personal property inside home, as well. When creating your policy with your insurance agent, it’s important to have a good idea of the monetary value of your belongings. Pay special attention to items with high value in your home like jewelry, artwork, and electronics. The policy should cover these items in the event of damage, irreparable loss or if it is stolen. Bodily injuries that occur on your property are also covered by most homeowner’s insurance policies. For example, if someone falls on your hard flooring or trips on stairs and breaks a bone. Browse around for pricing and coverage at a few different insurance companies. Don’t forget to compare customer service reviews, too. Nothing is worse than having a missing-in-action insurance company when something goes wrong. We highly recommend our friend Daniel Bittick with Farmers Insurance. You can contact him directly via email or telephone. 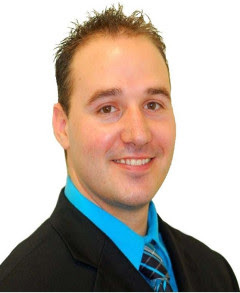 Get more information about Daniel and how he can help you by clicking here. Also, make sure your are getting the right amount of coverage. Of course, you don’t want to overpay for coverage you won’t need, but you do want to make sure that you are getting what you do need. There are different level of coverage, so make sure to talk to your insurance provider about which one is right for you. It’s important that you understand the details and terms of your policy, too. Deductibles and premiums are two different things. Again, an experienced insurance provider can help clarify any questions or confusion you may have. Many people get confused between homeowner’s insurance and home warranty. They are two separate forms of coverage that protect you against different scenarios. Homeowner’s insurance protects you against natural disasters, accidental injuries and personal property damage. Home warranties protect components in your house like appliances, AC/heating units, and structural damage due to wear and tear. 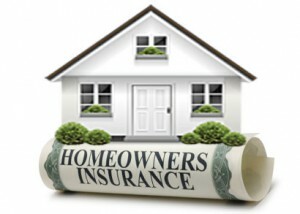 Homeowner’s insurance, in most cases, is mandatory for homeowners to have. It’s important to have a home warranty, too, so please consider purchasing a home warranty to protect you from common household issues.